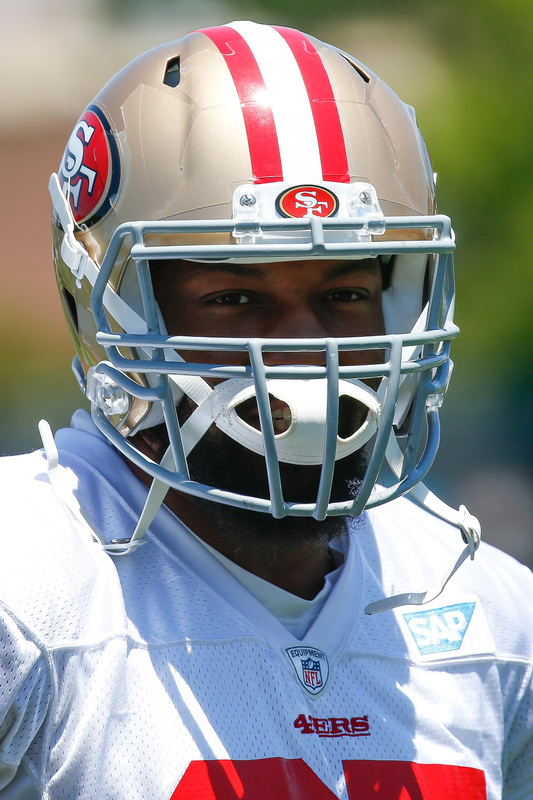 The 49ers have designated linebacker Dekoda Watson to return from injured reserve, according to Nick Wagoner of ESPN.com (Twitter link). Watson was placed on injured reserve in September after initially being carried through to the 49ers’ initial 53-man roster. NFL rules stipulate that any player who returns from IR must have been on his club’s original 53-man roster, and also mandates a minimum eight-week absence. Watson returned to practice today, opening a three-week window during which San Francisco must decide whether to activate the veteran ‘backer or leave him on injured reserve for the remainder of the season. Watson, 30, has bounced around the league since being selected in the seventh round of the 2010 draft, spending time with the Buccaneers, Jaguars, Cowboys, Patriots, and Broncos before joining the 49ers on a three-year, $10MM contract prior to the 2017 campaign. Last season, Watson played only 88 snaps on defense but was a key asset on special teams, where he saw 72% playtime and managed four tackles. If he does return this year, it’s difficult to see Watson getting much action on defense, where Reuben Foster and Fred Warner play the majority of snaps for San Francisco. But he could join Malcolm Smith, Mark Nzeocha, and Elijah Lee as reserves while contributing on special teams, where the 49ers currently rank as a bottom-three unit in DVOA. While the Chargers could conceivably use another interior offensive lineman, the club is expected to eschew free agent veterans such as Nick Mangold in favor of younger players such as Max Tuerk and Spencer Pulley, as Eric D. Williams of ESPN.com writes. Tuerk, a 2016 third-round pick, didn’t see a single snap during his rookie campaign as he recovered from ACL surgery, but he could earn a starting role in 2017. Incumbent center Matt Slauson also has experience at guard, meaning Los Angeles has the option of deploying its interior lineman — a group that also includes veteran Chris Hairston — in numerous ways. The Rams will put Western Kentucky offensive lineman Forrest Lamp through a workout, tweets Jenna Laine of ESPN.com. Lamp, a collegiate tackle who projects as a pro guard, has met with a multitude of clubs in recent weeks, and is now expected to be drafted somewhere in the 20s. NFL teams are apparently high on Lamp’s versatility, given that he should be able to play inside and out, and could even slide to center in a pinch. At present, the Rams’ projected starters on the inside are guards Rodger Saffold and Cody Wichmann and center Demetrius Rhaney. Los Angeles attempted to lure restricted free agent Ryan Groy earlier this offseason, but failed when the Bills matched its offer sheet. 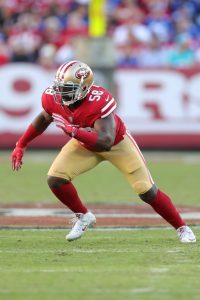 Linebacker Dekoda Watson‘s three-year deal with the 49ers is worth $5MM, per Aaron Wilson of the Houston Chronicle (Twitter links). The 2018 and 2019 seasons are team options, however, which would allow San Francisco to reap a compensatory pick if the options are declined. Watson will receive a $1MM signing bonus, and can earn $200K annually in per-game roster bonuses. Watson, 29, will likely stick to a special teams role with the 49ers. Although free agent linebacker Rey Maualuga recently took a visit with the Chiefs, no deal is imminent between the two parties. Maualuga, 30, was released by the Bengals last month after eight seasons in Cincinnati. In case you missed it, the 49ers agreed to a one-year deal with veteran running back Tim Hightower, who will serve as a backup to Carlos Hyde in 2017. The 49ers have signed free agent linebacker Dekoda Watson, his agent, Peter Schaffer, announced on Instagram. It’s a three-year, $6MM deal, tweets Mike Florio of Pro Football Talk. 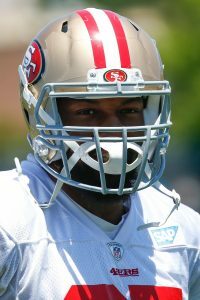 San Francisco is the sixth NFL team for the 29-year-old Watson, who originally went to the Buccaneers in the seventh round of the 2010 draft. Since then, Watson has appeared in 89 games, made seven starts and picked up four sacks. As a member of the Broncos in 2016, he played a 16-game slate for the second time in his career and worked almost exclusively as a special teamer. While Watson only played 3.8 percent of the Broncos’ defensive snaps, he saw action in 84 percent of their special teams plays. 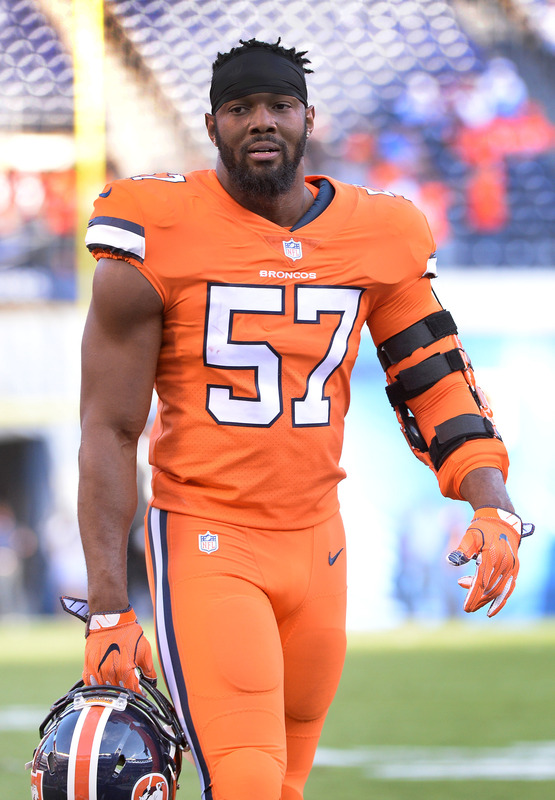 Denver had hoped to retain Watson, who instead joins newly signed Rams cornerback Kayvon Webster as the second key special teamer to leave the Mile High City this week. Watson also drew interest from one of the 49ers’ NFC West rivals, the Seahawks, and visited the Raiders while in the Bay Area on Friday, according to ESPN’s Adam Caplan (Twitter link).